Drool worthy notepads. With a reusable metal spine. 24 K Gold-plated. Carry it along with you and go make a statement! 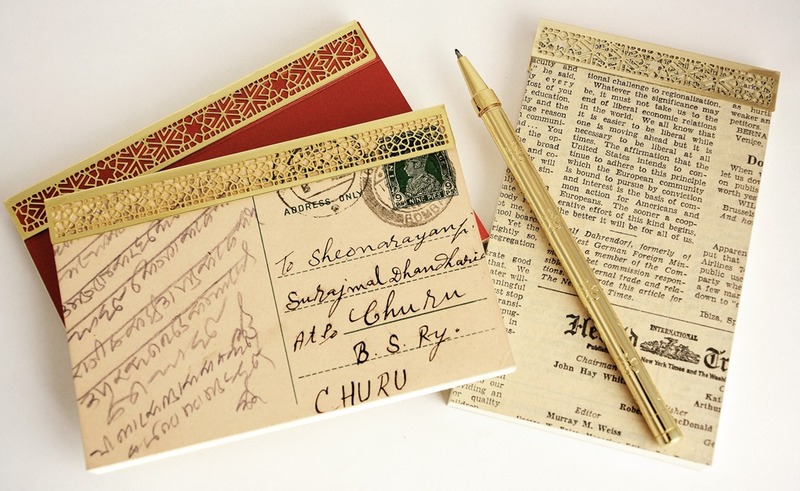 This entry was posted in Whats New and tagged Anand Prakash, British India, India Inspired, Notepad, Old Postcard, stationery, Vintage Newspaper. Bookmark the permalink.